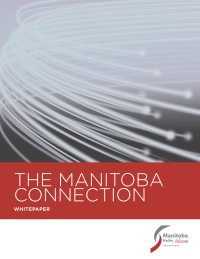 In 2003, Manitoba Hydro, the province’s major energy utility, knocked on the doors of telephone and internet carriers to see if they’d be interested in hooking up to the fibre it was laying across the province. This forethought has lead to partnerships and collaboration with many rural internet providers and carriers to expand high-speed internet across the province. Manitoba Hydro Telecom (MHT) is a facilities-based carrier class telecom service provider, offering a suite of wholesale products to carriers, wireless operators, private and public corporations, and education and healthcare organizations. Download this white paper to learn how wireless internet providers and enterprise customers can take advantage of tower colocation services and wide area network solutions through fibre-optics.